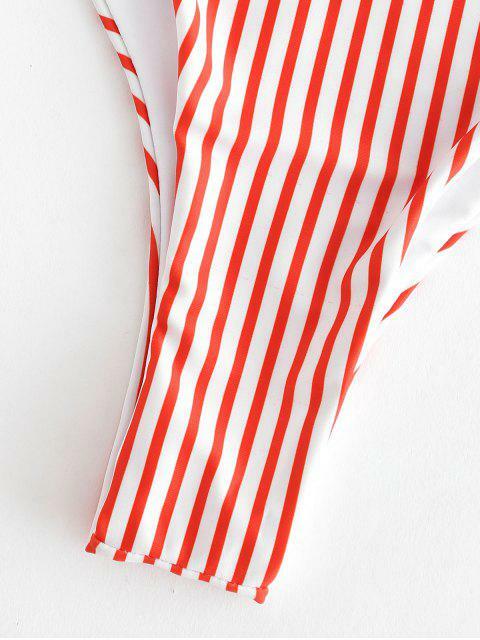 [39% OFF] 2019 Striped High Leg Padded Bikini In RED | ZAFUL ..
Small line designs added to fabric for swimwear has become a hot trend, and this bikini offers this look. The top is a tank style with padded cups for support. A narrow strap across the upper abdomen underneath the bodice for decorative effect. Matched briefs have high cut leg openings to flaunt your killer legs.